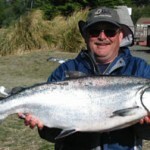 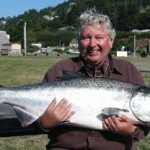 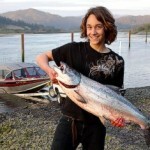 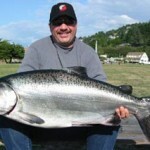 This is Alexander with a nice Spring Chinook in April 2007! 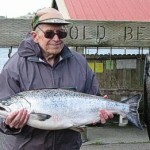 Bill Henderson, age 85, with a Rogue Springer”. 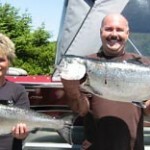 Brent & Linda with fine catch!. 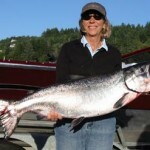 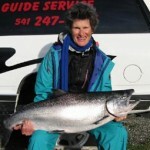 Carol’s prize is a 30 1/2 pound “King” Salmon!. 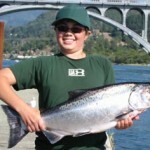 Daniel with nice catch on 9/15. 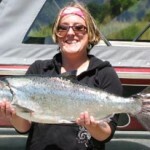 This is Gretchen Pippitt from Redmond Oregon.! 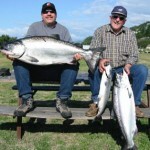 Two very happy campers on 9/14/2007!. 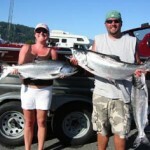 Jeremy & Alisa are on their honeymoon…catching Salmon?! 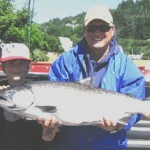 “Jim Worthen from Eureka, CA returns for this 38 # Chinook Salmon”. 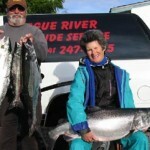 Karen Wine won 3rd place in the Women’s division of the Rogue River Salmon Derby on August 25th. 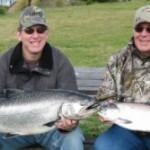 What does a guide do on his day off? 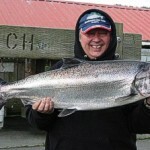 Catch a 35 # Chinook!. 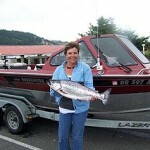 Lisa Fauble with her first ever Chinook Salmon. 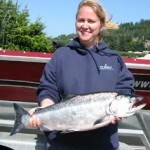 Misty Gibson with her first Salmon. 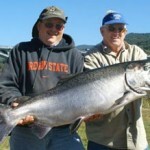 Nate & John Martin from New Jersey team up to land this 30lb Chinook! 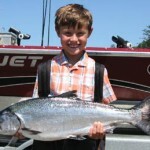 Ten year old Ted from the bay area with his first Salmon. 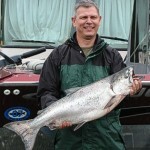 On 9/6, Ted Massing caught this 40# Chinook he calls “Beulah”. 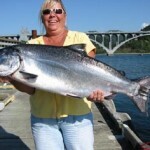 Tonie Bowers from San Diego with her first King ( 32 lb Chinook) Salmon – Aug 31.